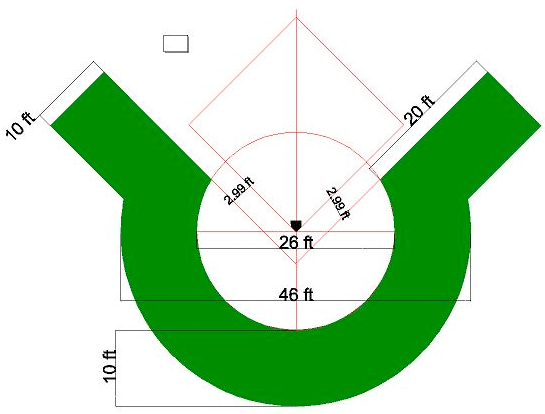 Turf halo kits are used on baseball & softball fields, to outline the area behind home-plate. A high-quality halo kit will prevent this area from being worn out from regular foot traffic, reducing costly grass maintenance. 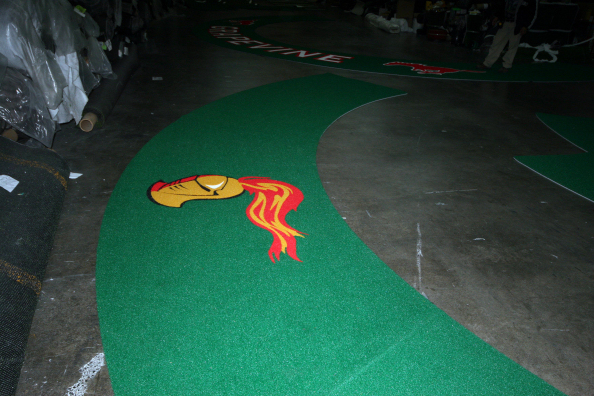 Halo kits are also an excellent medium to display logos or names for your team mascot, partners/sponsors, or memorials. They are referred to as a "halo kit" because they come pre-cut in several large sections to allow you to piece together on-site. It's recommended to glue your halo kit to a concrete surface - glue/concrete not included. All of our halo kits use a high quality, steel spike-resistant 42 oz. DuPont Nylon surface with UV Inhibitors, over an all-weather 5 mm foam pad for added density and shock-absorption. 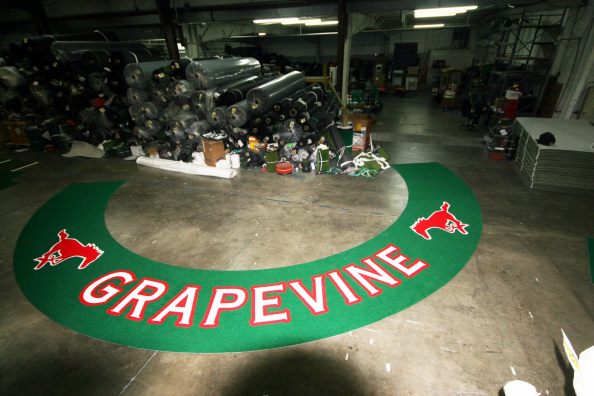 Our Nylon turf is available in a wide variety of colors, and custom logos are available. 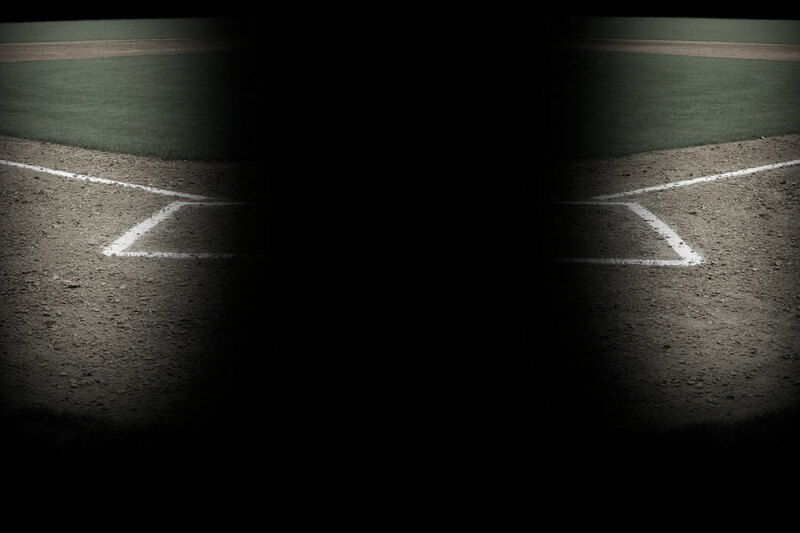 Also available are extension wings, which provide additional protection along the baselines where coaches typically stand to hit batting practice. This also provides additional space to display logos. 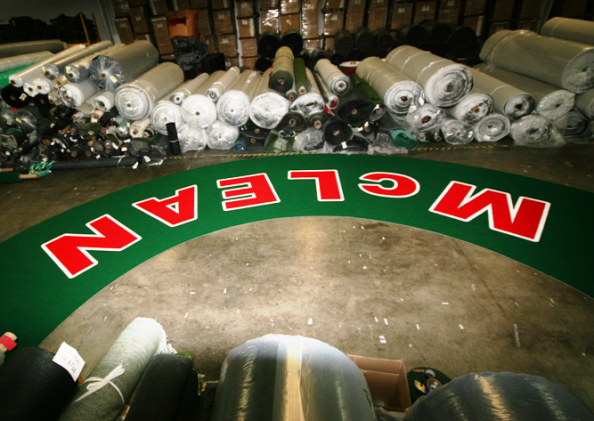 Our optional turf logos are IN-LAID, which means the letters are constructed from Nylon yarn (same material as halo kit), and glued into the halo kit. The result is bright brilliant colors which will never fade, and last as long as the turf does. All of our halo kits also include an industry best 5 Year Limited Warranty. Total turf height with foam: 3/4"
"The Halo is working fine and keeping the maintenance of the grass behind it at a minimum. We have had several comments from visiting teams on the look. 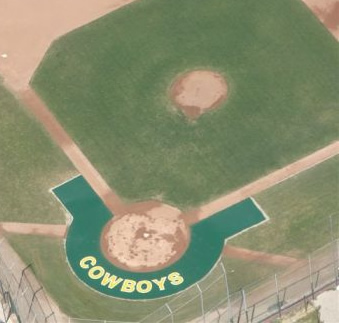 The installation of the halo was easy and we are looking forward to having it at our field for a long time. We could not have been happier with the price and the service your company has provided us." xThe total height including foam is 3/4". 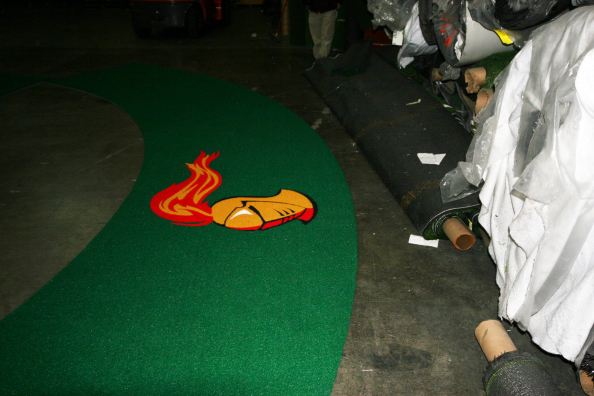 xOur In-laid logos will last the same life-span as the turf itself, and will never fade or wear out. 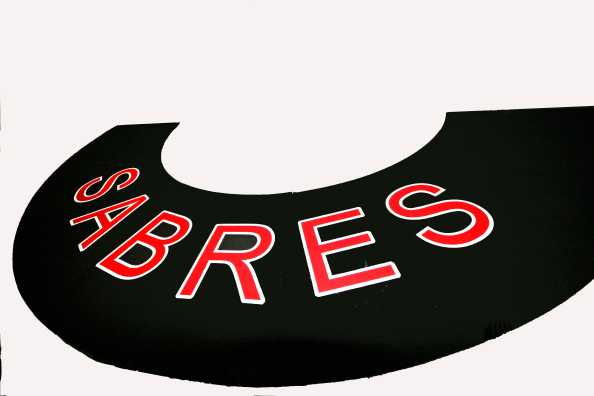 Our painted logos will last a few seasons, but it depends on the traffic, and your preference for aesthetics. 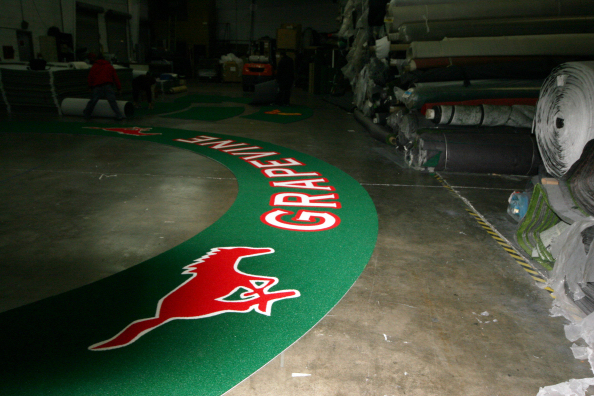 Most painted logos need to be touched up annually to maintain a professional appearance.